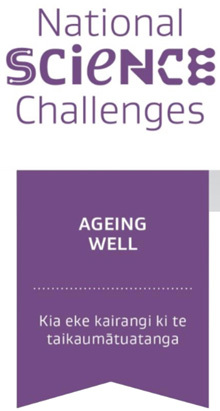 Two hundred people, from New Zealand and overseas are gathering in Wellington (this week) to discuss how active ageing can become a reality for older people. 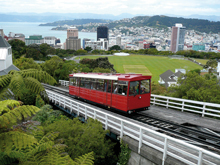 The New Zealand Association of Gerontology conference attracts policy-makers, health professionals, academics, researchers and people from the private and voluntary sectors. They will hear new ideas and research findings from keynote speakers and over 100 contributors, ranging from postgraduate students to people with decades of experience working for and with older people. This will show how aspects of older people’s lives interact and how they can be supported with dignity and respect. The conference will provide valuable opportunities to network and share information. The keynote speakers include Kathleen Brasher, from Melbourne, who is a member of the World Health Global Age Friendly Cities and Communities Network. She will present a practical guide to creating age-friendly communities. Martijn Huisman is scientific director of the Longitudinal Ageing Study, Amsterdam. He has researched how older people can be resilient and age well despite socio-economic adversity. John Raeburn is an expert on health promotion, wellbeing and community issues. Among his current projects are “Super-ageing” and “Life is Do-able”, as well as working in the Auckland region as the area transitions into a supercity. The conference will also include expert panels on how senses and physical capacities can be preserved in later life and on different cultural perspectives on active ageing. There will be presentations on housing and transport for older people, care at home and in rest homes, ways to prevent disability and restore activity, falls prevention and ways to alleviate loneliness and social isolation. “The ongoing prosperity and well-being of our ageing society is dependent on sound research, wise policy making, and informed debate. This conference provides the opportunity to actively engage with issues that will influence future trends and are relevant to organisations and groups across sectors, as well as communities, families and to individuals” Dr Stephen Neville, President, New Zealand Association of Gerontology.